In this first book of a chapter book series inspired by Marguerite Henry’s Misty of Chincoteague, siblings Willa and Ben Dunlap begin their new life on Chincoteague Island. Ten-year-old Willa Dunlap and her eight-year-old brother Ben are new to Chincoteague Island, but it’s a homecoming for their mother, who grew up there. Willa and Ben’s parents are busy planning the opening of their bed and breakfast, which gives the kids free rein to explore the island. But with so many new people and places to get used to, will Chincoteague ever feel like home? 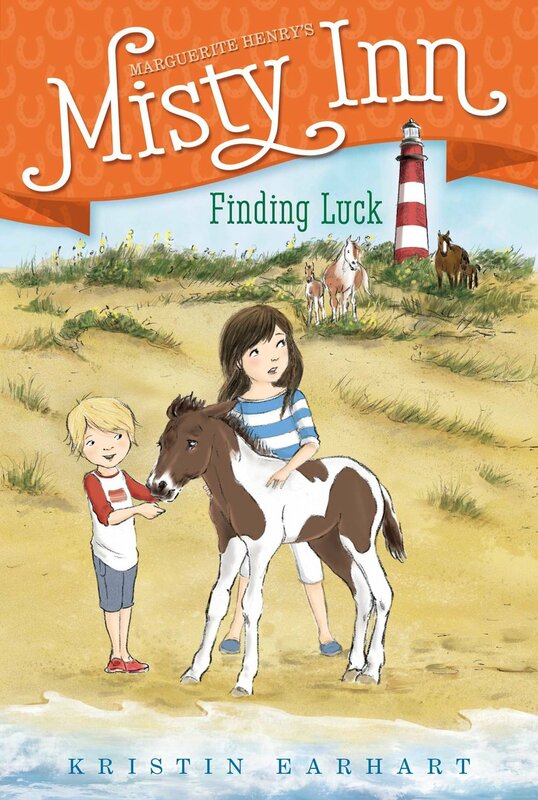 The Dunlap siblings must solve the mystery of a sick pony on Chincoteague Island in this second book of a chapter book series inspired by Marguerite Henry’s Misty of Chincoteague. There’s a sick horse at Misty Inn! 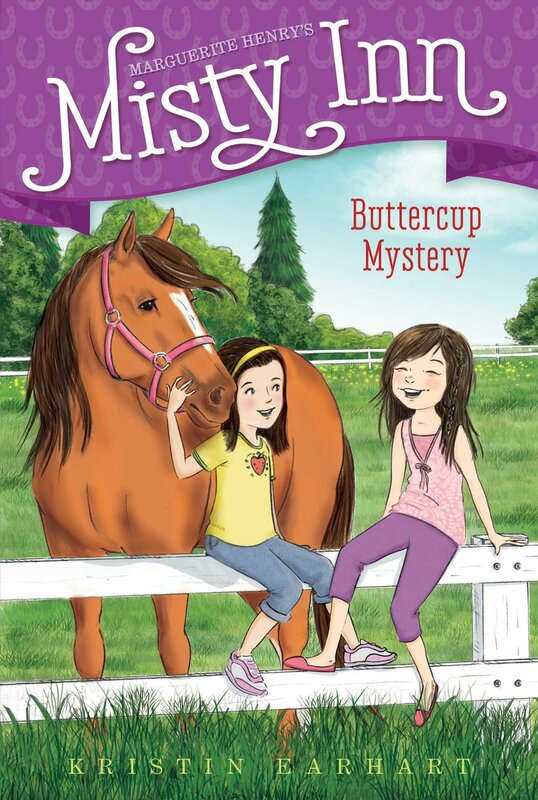 Something Buttercup is eating—or being fed—is making her ill. Can Willa and Ben solve this pony problem and help Buttercup feel healthy again? 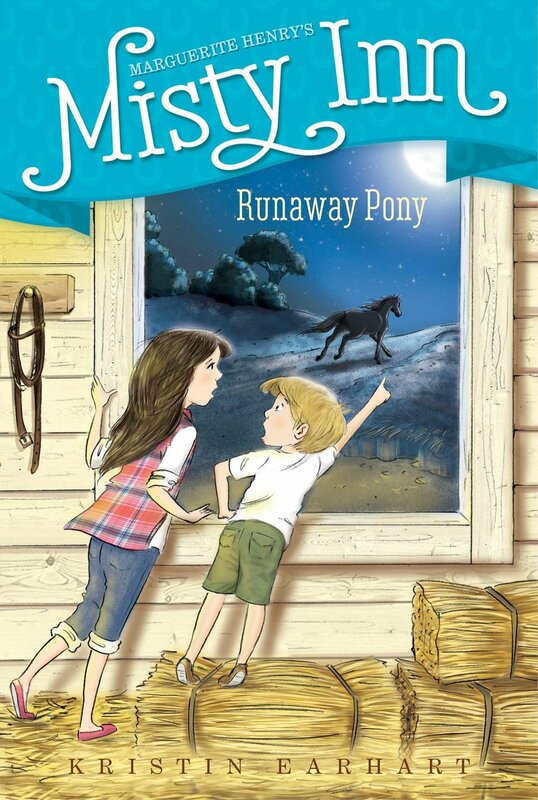 A lost pony is cause for a nighttime adventure on Chincoteague Island in this third book of a chapter book series inspired by Marguerite Henry’s Misty of Chincoteague. Full Moon Fancy, Fancy for short, is a pony with a knack for getting loose. First she just tramples a herb garden, then she knocks over a wall of a chicken coop, so the hens end up all over the yard and down on the beach. When she gets out one too many times, Willa and Ben are worried she’s lost. They set out to track her down—in the moonlight! Will they find the runaway pony, or is Fancy lost for good? The Dunlap’s bed and breakfast is finally ready for the grand opening—or is it?—in this fourth book of a chapter book series inspired by Marguerite Henry’s Misty of Chincoteague. 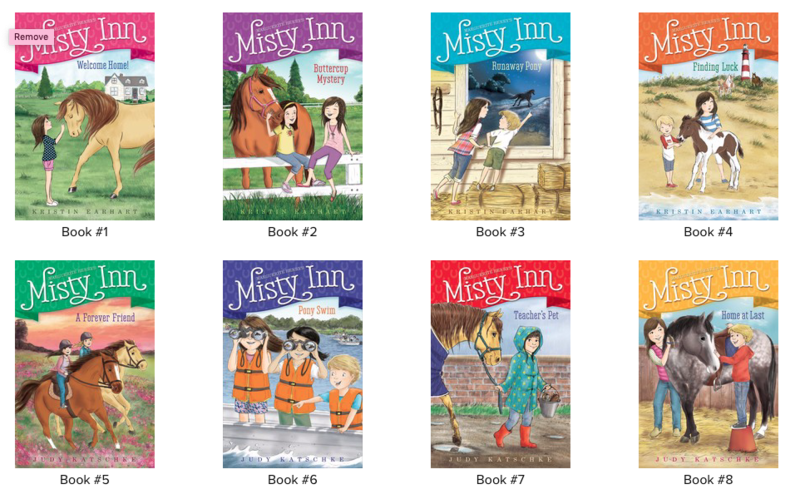 It’s time for the grand opening of Misty’s Inn and Willa and Ben have been on their best behavior helping their parents get everything in tip-top shape! But they’re tired of being up to their ears in lumpy mattresses and dust bunnies. Willa and Ben would much rather be helping their Grandma Edna reunite a foal with its missing mother. But as one disaster after another keeps happening at the Inn, the Dunlaps begin to worry that maybe running a bed and breakfast wasn’t such a great idea after all. Will the Dunlaps be able to get everything ready in time, or will their dreams of running a successful inn disappear like the horse they’re trying to save? 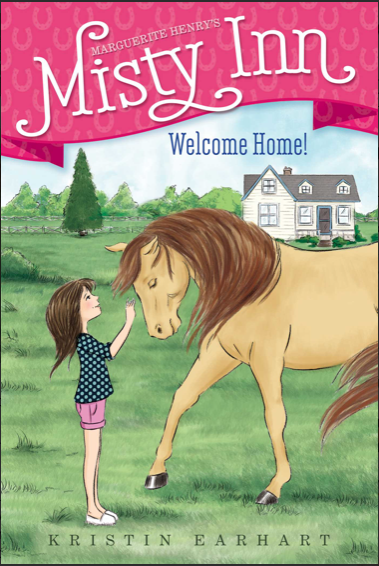 Willa’s best friend from Chicago comes for a visit in this fifth book of a chapter book series inspired by Marguerite Henry’s Misty of Chincoteague. Misty Inn is up and running, and the Dunlaps have a full house. Willa is thrilled that Kate, her best friend from Chicago, is going to come to Chincoteague for a visit. But it’s been a whole year since they’ve seen each other, and Willa soon realizes their friendship is not as easy as it had once been. Adding to the tension is the fact that a Chincoteague friend, Sarah Starling, is away at camp for the week, not to mention the fact that Ben seems to disappear early in the morning and not show up again until dinner. So Willa is on her own to figure out how to start anew with her oldest friend. The Dunlaps prepare to host a respected travel writer during the busiest time of the year in this sixth book of a chapter book series inspired by Marguerite Henry’s Misty of Chincoteague. It’s the week of the annual pony swim and Willa and Ben are excited! Misty Inn is fully booked for the days leading up to the swim and the auction of the foals, which takes place the following day. As if the island’s biggest event isn’t exciting enough, the Dunlaps get news that a travel critic/writer will be staying at the inn during that week. The kids are determined to show the special guest just how nice Misty Inn can be, but will they be able to prove it when they don’t even know who the critic is? A back-to-school assignment has Willa scrambling in this seventh book of a chapter book series inspired by Marguerite Henry’s Misty of Chincoteague. Willa just started school again and everyone in her class has come up with clever ideas for their back-to-school projects. Even her best friends Lena and Sarah are preparing something different: a Double-Dutch demonstration. At first Willa thinks her father’s fabulous raspberry torte will be perfect, but at the last minute, the raspberries don’t cooperate! Just in the nick of time she realizes the best idea is in her own barnyard: Starbuck! She’ll show her class how to groom him, something she’s an expert at! Ben decides he wants his own pony in this eighth book of a chapter book series inspired by Marguerite Henry’s Misty of Chincoteague. Even though Ben is allowed to ride and groom his sister’s pony, Starbuck, everyone knows Starbuck is really Willa’s pony: the two are inseparable, as close as a girl and pony can be. But then the kids discover a wild, renegade pony plucking apples from a tree. 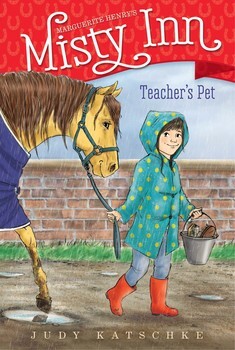 Ben names the pony Winesap, but Willa doesn’t want her brother to grow too attached, as she’s sure they’ll find his original owners and Ben will be heartbroken when he’s returned. But it’s too late, and just like that, Ben and Winesap become the best of friends. Will Ben finally get to have a pony of his own? 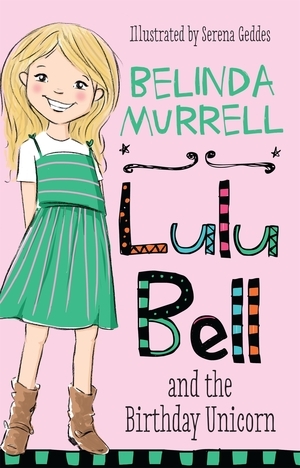 Lulu Bell is a fun-loving, adventurous eight year old girl growing up living in a vet hospital. Lulu lives with her quirky family and all her gorgeous pets right behind the Shelley Beach Vet Hospital. Her dad is a vet and her mum is an artist. Lulu is the eldest child so she is the practical one, and very good at solving problems. Lulu has a younger sister called Rosie who is dreamy and creative and loves wearing angel wings. Her younger brother Gus, is only three and is cheeky, mischievous and always dresses up as a super hero called Bug Boy! Even in the bath. The stories are about friends, family and animal adventures and are very much inspired by Belinda’s own childhood growing up as the daughter of a vet. It’s a hot day and the Bell family is going for a swim. But when a runaway dog chases a little penguin that is waddling up the beach, Lulu has to leap into action! Is the little penguin hurt? And as if that’s not enough for Lulu to worry about, where is Pickles the cat, who’s about to have her kittens? Let the search begin! Lulu and her family are visiting their uncle’s farm for the Easter holidays. There are horses to ride, a creek to swim in, and they can even sleep outside in a tent. What fun! Lulu loves being a cowgirl on the farm, especially when all the cousins decide to build the best cubby fort ever. But when she sees a calf get stuck in the mud, Lulu has to find help – fast! Lulu’s best friend, Molly, is preparing for the Moon Festival. But there’s so much to do! There are dragon costumes and paper lanterns to make, and yummy moon cakes to bake, too. Lulu and her mum offer to help out, and soon everyone gets involved. This will be a Moon Festival to remember! Performing dogs and trick riders on beautiful ponies - Lulu Bell can't wait to see this circus show! Lulu and her family are setting off on an adventure a long way from home. Mum has been invited to visit an Aboriginal community to choose paintings for an art exhibition. Lulu, Rosie and Gus are having lots of fun swimming and fishing with their new friends. But there is one thing Lulu would really like to see. Can wishing upon a star help her dream come true? Year Three are going on an excursion to the zoo. Luckily the zoo vet is one of Dad’s best friends, so Lulu and Molly and their friends get special treatment! When a tiger cub gets into trouble and hurts its leg, the zookeepers have to take it to the hospital. The zoo vet sets to work – with Lulu and Molly looking on. Will the tiger cub be OK? Molly and Sam and Ebony the kitten are staying the night for a pyjama party. Yay! Lulu is looking forward to stories and games and snacks. But it’s a busy night for Dad’s vet hospital. An orphaned wallaby joey needs care and a mother dog arrives at the vet hospital ready to have her puppies. Dad needs Lulu and Molly’s help – even if they’re still in their pyjamas! The Bell family are preparing for the best Christmas ever. There are presents to wrap, yummy food to cook and costumes to sew. 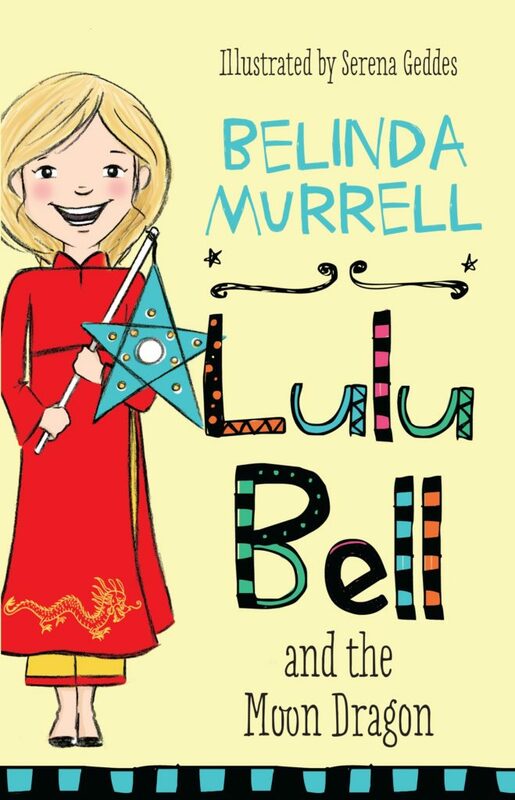 But Lulu’s friends Olivia and Jo are too sad to sing in the school concert because their little cat Bonnie is missing. Can Lulu cheer them up and help find Bonnie before Christmas Eve? Maybe a special letter to Santa will help. Lulu can’t wait for her holiday at Tarni Beach to begin. She has a new pink surfboard and Dad is going to teach her to surf. Lulu and her friend Zac like to spot wildlife in the bush nearby. But bulldozers have arrived and the trees might soon be gone. What will happen to the mummy koala and her joey if all the trees are taken away? Lulu needs to work out how to save the koalas’ home! It’s Harmony Day at Shelly Beach School, and Lulu’s class is going to star in the school play. What will be the special theme this year? A summer storm has arrived, and the Bell family are eating their dinner and playing games by candlelight. What fun! But the next morning a disaster is revealed. The school garden is ruined! 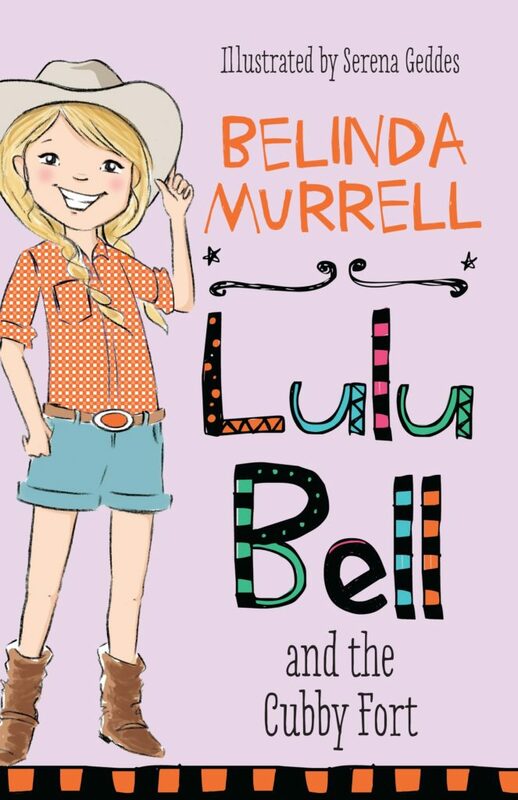 Can Lulu and her best friend Molly save the day?